This article shows how I have made a mains filter that is extremely effective in reducing and in some cases eliminating completely EMC from the electricity supplying my shack. 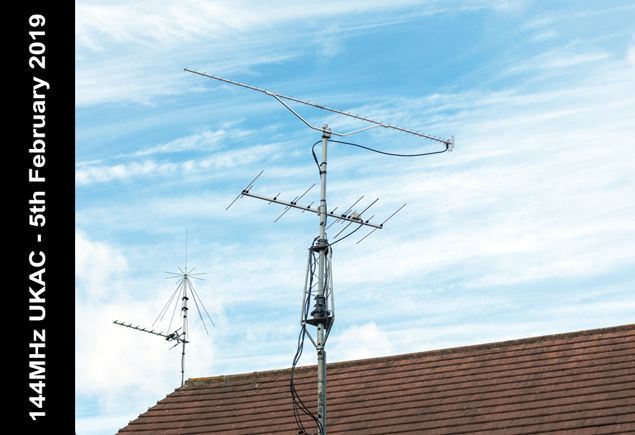 I returned to amateur radio in March 2016 after a twenty year break. 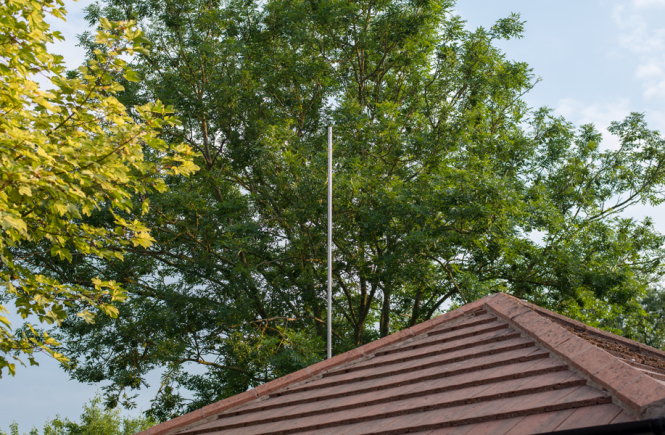 Installing a HyEndFed five-band antenna and connecting up to a Yaesu FT-101Z I was both surprised and dissapointed with high noise levels. I quickly learned I had a problem and the situation was certainly different than when I operated all those years ago. Apart from changing band conditions, both day of week and time of day were significant factors affecting my noise level. Evenings and weekends were particularly bad as neighbours switched on their electronic devices. 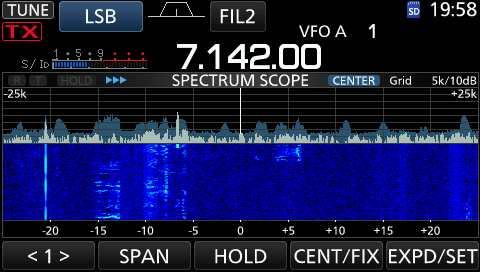 Noise on 40m was S7 at best but more than often than not S9. 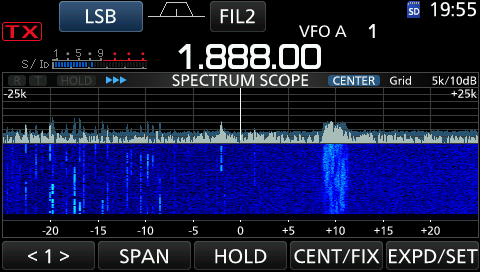 80m and 160m were pretty much S9 all of the time. 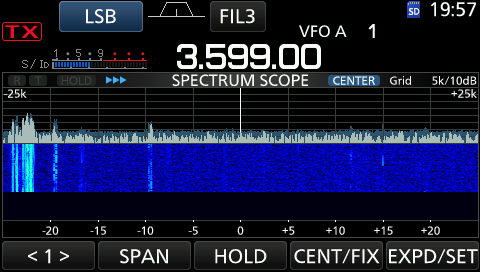 By far the best band was 20m at S5 and occasionally S3. 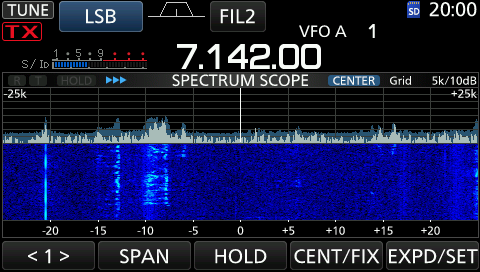 I found myself operating mainly 20m, sometimes 40m when conditions were good. Christmas was a nightmare with S9+ most of the dark hours as the lights were installed and turned on. In 2017 I purchased an Icom IC-7300. 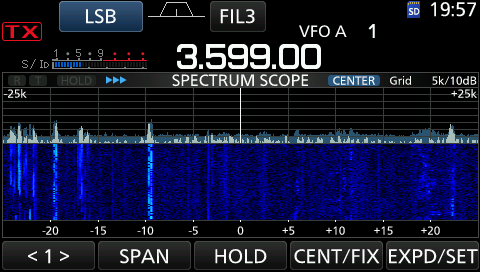 This is a fantastic radio and although its filtering makes it much easier to pull out signals from the noise, it is still difficult to work many stations. 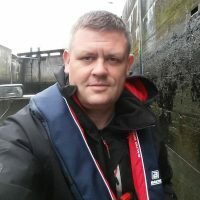 I started researching the Internet to find methods of reducing interference and it was here I found the website of Ian White, callsign GM3SEK. Besides other things, Ian’s website contains designs for ferrite RF chokes that suppress unwanted common mode currents at HF and also a “whole-shack mains filter”. Ian also did a “Clean up your shack” lecture at the 2015 RSGB convention, which is well worth watching as it contains lots of hints and tips for reducing EMC. Thanks Ian! Details of Ian’s website and other links are at the bottom of this article. The mains filter is simple to make and install but extreme care should be taken as it requires you to work with live mains supply. 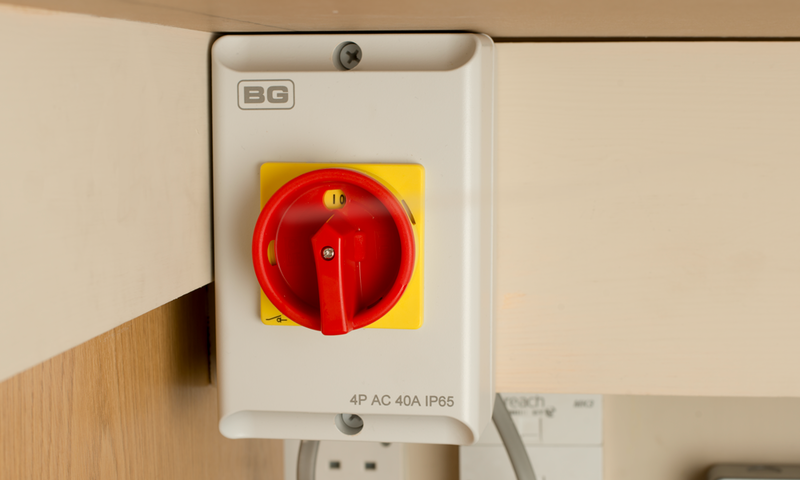 If you have any doubts at all about working with electrics then DON’T DO IT and instead consult an expert who can help you. I’ve included example links of where you can buy these parts from but as this project only requires a small amount of cable, terminals and heat shrink tubing etc. it will likely be cheaper to source these from alternative suppliers. 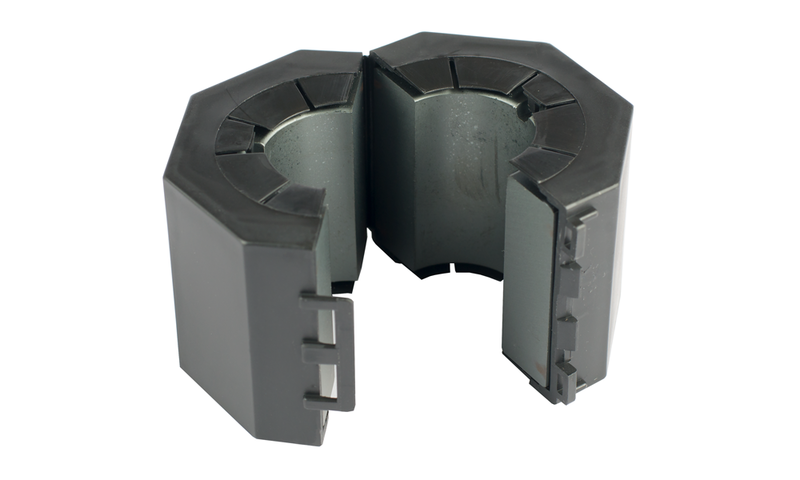 Fair-Rite type 31 ferrite core – Fair-Rite part number 0431177081. Click here to view the datasheet. Available from at RS Components here (part number 466-9164). IP55 polycarbonate enclosure -180 x 110 x 100mm. Available from Screwfix here. 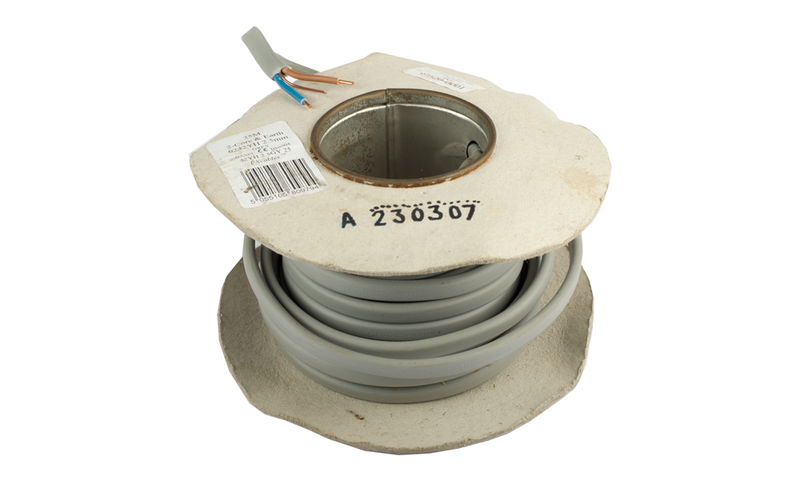 2.5mm square 3-core cable – Approximately 2 meters. Available from Screwfix here. 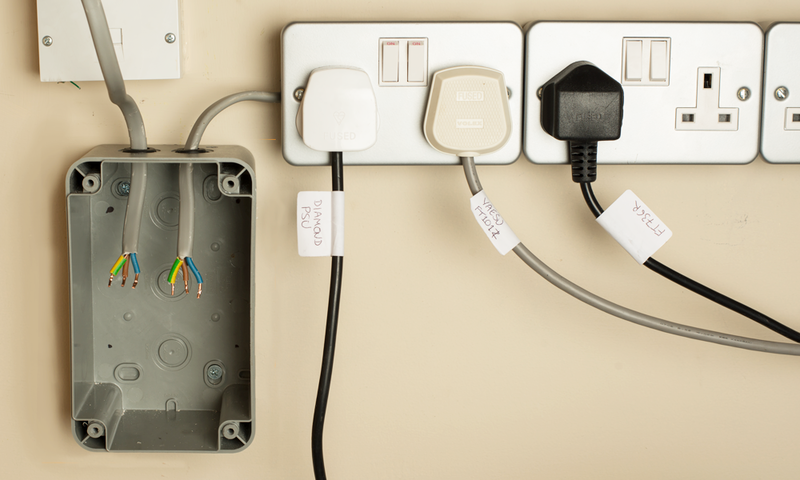 30 Amp terminal strips – Two 3 x 2 terminal blocks. Available from Screwfix here. 300mm cable ties – 2 required. You can purchase these from Screwfix here. 10mm heat shrink tubing – Three 4cm lengths. Available from Maplin here. 3mm earth heat shrink tubing – Two 5mm lengths. Available from B&Q here. 20mm rubber grommets – Two of. Available from Screwfix here. 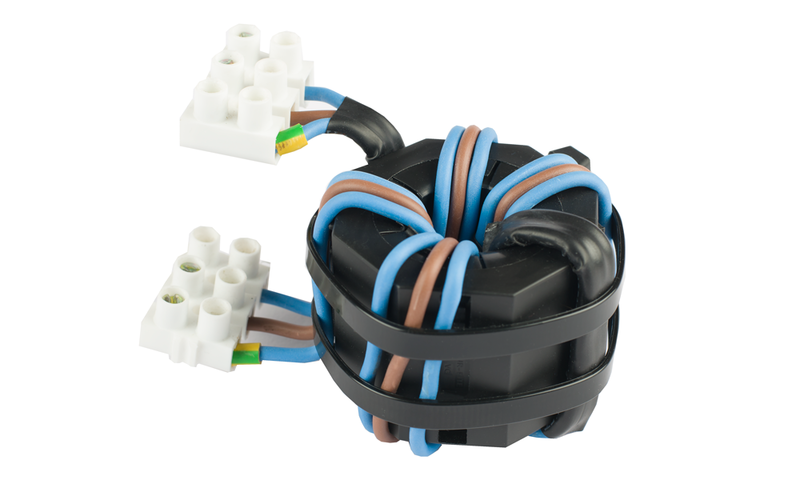 This filter requires all three wires; neutral, live and earth to be wound around the ferrite core. The 2.5mm square cable I purchased didn’t have an insulated earth wire so I used two neutral wires; one for neutral and the other for earth. I cut two 1 meter lengths and removed the outer insulation. I discarded both of the earth wires and one of the live wires, leaving me two 1 meter lengths of blue neutral wire and one 1 meter length of brown live wire. The really nice thing about this core is that it is a split core that snaps shut. Winding 2.5mm square cable is quite tricky because it’s not that easy to bend so this split ferrite makes it much easier. To make it easier to keep the wires together for winding, I first laid them out flat with the brown live wire in the middle before putting a piece of heatshrink tubing at the centre and each end. With the ferrite core open and starting from one end, I wound five complete turns of all three wires. It’s important the wires are as tight as possible with little space between the wire and the ferrite. Once finished I snapped the ferrite core shut. To keep it shut I fastened two tie wraps on the outside of the core. Using wire cutters I cut of excess wire, leaving 35mm at both ends and removed 5mm of insulating from each of the wires. Because I used two blue neutral wires; one for neutral and the other for earth. I used a multimeter to double check the earth wire at one end corresponded to the earth at the other end. I then placed some earth heat shrink tubing on the earth wires at each end to make them easily identifiable. Finally I connected each ends of the wires to the terminal blocks. For safety, the mains electricity supply to my shack enters via a 40 Amp isolating switch. One turn of this and everything is turned off. Before fastening the enclosure to the wall I removed the top two 20mm cut-outs and inserted a rubber grommet in each to protect the cable. 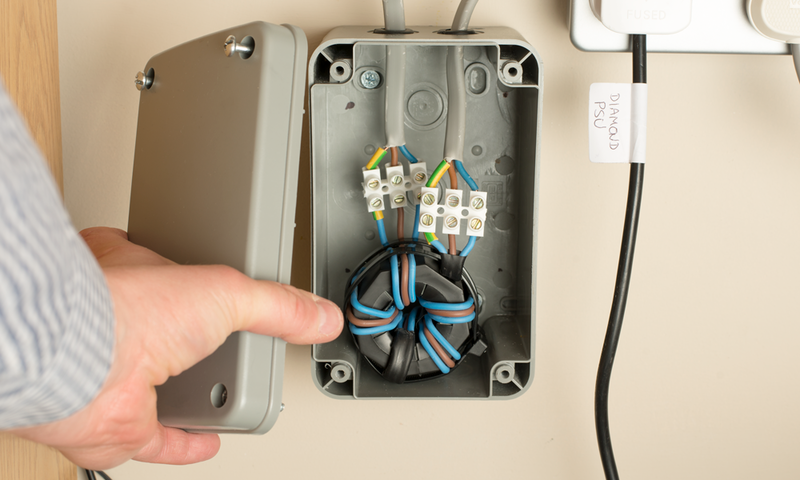 With the house mains switched off at the distribution board, I connected a length of cable to the isolating switch and inserted the other end in the enclosure. I then took another length of cable and connected it to my sockets and inserted the other end in the enclosure. The reason I purchased a 180 x 110 x 100mm enclosure is because Ian White, GM3SEK, says a conventional two wire mains filter can be fitted after the filter. The additional space in the enclosure will allow me to fit this later. Finally I connected up the ferrite core. Ensuring all of the connections were good I fastened the lid of the enclosure and turned the house mains back on at the distribution board. HOW DOES THE FAIR-RITE TYPE 31 FERRITE MAINS FILTER PERFORM? 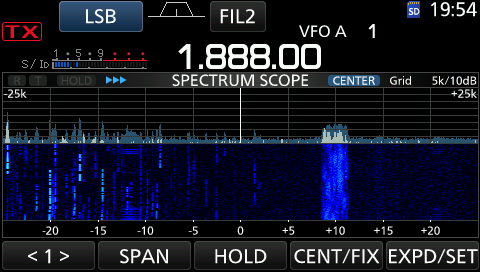 To test how the filter performs I used my Icom IC-7300 and HyEndFed 5 band antenna, which is horizontal approximately 45 feet above the ground. I set a benchmark by powering up the transceiver on a car battery before powering it on mains with no filter and finally powering it with the mains filter in line. Below are the results. The video below shows the transition of the screenshots above making it easier to compare interferences when running on battery power and mains with and without the filter. Tests were done with some, but not all of my other chokes in place. I also made no attempts to turn off any known offending devices i.e. broadband router, TV, CCTV etc. As you can see from the screenshots and video there a significant reduction in S-meter points on 160m and 80m with a very slight improvement on 40m. 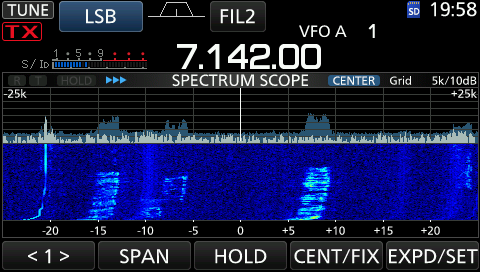 Comparing screenshots from when the transceiver is running on battery power and mains with the filter in line, there is little difference between them. This suggests to me that the filter is extremely effective at removing interference from the mains supply. So much so that it is comparative to running it on battery power. If you source the parts required from individual suppliers you can make this extremely effective filter for £30 or less. It would be really interesting to hear from you if you build this filter and the results you see in your shack so please get in touch using the contact form or by leaving comments on the article below. Having analysed the results of this filter, I now intend on installing a conventional two-wire mains filter after the ferrite filter as suggested by Ian White, GM3SEK and reporting back what additional benefits, if any, it delivers across the bands. 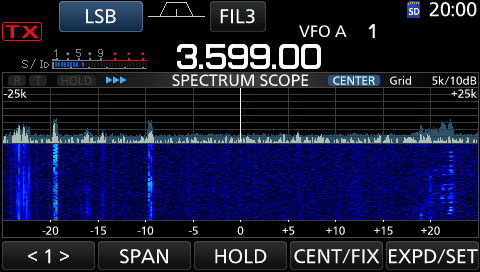 Hi I have only one double socket in my shack. I only have one radio and power supply. In theory could I use this as an extension adapter? I mean put a plug on one end and an a single extension plug on the other and plug into my shack socket and use it that way? Really interesting info. Will try build one. Seems getting qrm from street lights…it tha’t would help? Would you consider making one of these to sell on. I don’t trust myself to make this, but would willing pay for one you have made?